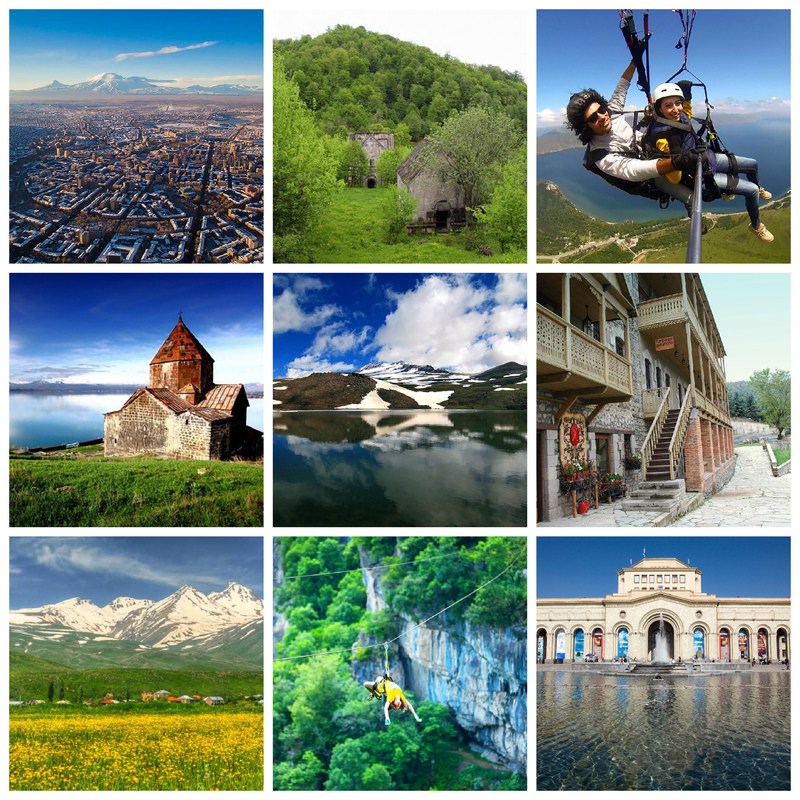 This 8 day/7 nights Adventure tour is a great way to meet like-minded people, make new friends and explore new places in Armenia. Travel to Lake Sevan – one of the largest freshwater, alpine lake in Eurasia at an altitute of 1,900 m above the sea level. Make unforgettable memories Paragliding with Sky Club at Lake Sevan. Go horseback riding in the resort town of Dilijan. Enjoy the stunning views and the nature of Tavush on a Zipline at the Yell Extreme adventure park. Hike to Jukhtak Vank in the forests of Dilijan National Park and to Lake Kari – at the slope of Aragats mountain. Visit the Quest room- Room escape games in Yerevan. Arrival at Zvartnots International Airport. Transfer to hotel. Travel to Lake Sevan – the largest freshwater alpine lake in Eurasia. Walk to Sevanavank monastery dated 9th century located on the top of the peninsula and enjoy the view from above. Take a 30 minute boat trip. Overnight in the city of Sevan. Paragliding will give you an opportunity to enjoy the beauty of Armenia from above. Paragliding insurance of 2 mln dram is available for a tandem Paraglide with an instuctor. In the afternoon continue to the spa town of Dilijan to exprore the old town. Overnight in Dilijan. Head to Yell Extreme Park in Tavush province for another day of adrenaline rush. The Zipline is the longest in the world and has 6 different linees to choose from. Overnight in Apaga resort located in Yell Extreme Park. In addition you can take a horseback riding tour or ride a bike at Apaga. Travel to Dilijan National park to start your hiking trip towards Juxtak Vank- an 11th century monastery situated within 3.2km northwest of city of Dilijian. Return to Yerevan. Start the day with Yerevan city tour. Discover the oldest city in the world-founded in 782 BC and 29 years older than Rome. Continue to Quest Room- Room escape games in Yerevan. Travel to Lake Kari (elevation 3,190 m above the sea level) to start the hiking trip to one of the 4 summits of Aragats Mountain (4,090m). The choice of the peak for the hiking trip will depent on the season and current weather conditions. Return to Yerevan.